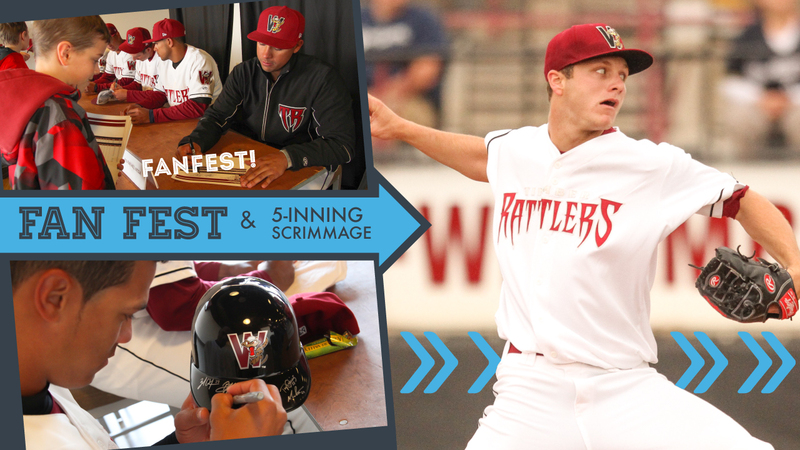 GRAND CHUTE, WI - The Wisconsin Timber Rattlers will hold their annual FanFest at Neuroscience Group Field at Fox Cities Stadium on Tuesday, April 2. The free, open house event presented by Neuroscience Group will be held from 1:00pm until 5:00pm to allow fans their first glimpse of the 2019 Wisconsin Timber Rattlers. Admission and parking are free for FanFest and fans will be able to enjoy a day at the ballpark and get autographs from players. All fans who attend the event will receive a voucher good for a free hot dog, soda, and popcorn. This voucher may also be used for free parking to any Timber Rattlers home game at Neuroscience Group Field in April - excluding Opening Day - this season. The Snake Pit Team Store and the ticket office will be open during FanFest to allow you to purchase merchandise and tickets for any game during the 2019 season. Souvenir grab bags containing various items will be available for $20 inside the main gates on the main concourse of the stadium while supplies last. The Timber Rattlers will take the field for practice at 1:00pm. A five-inning scrimmage against the Windfall Lake Loons will begin at 3:00pm. There will be an autograph session featuring the Timber Rattlers for fans after the scrimmage. The Loons roster is consists of 16 former high-level college and professional players from Northern Wisconsin and the Minneapolis/St. Paul area. They have won 15 Wisconsin Baseball Association championships since they began in 1998.